To gain market share amid intense complexity, business leaders in nearly all segments of consumer goods are rethinking the systems and tools they use to innovate, develop, and commercialize products. 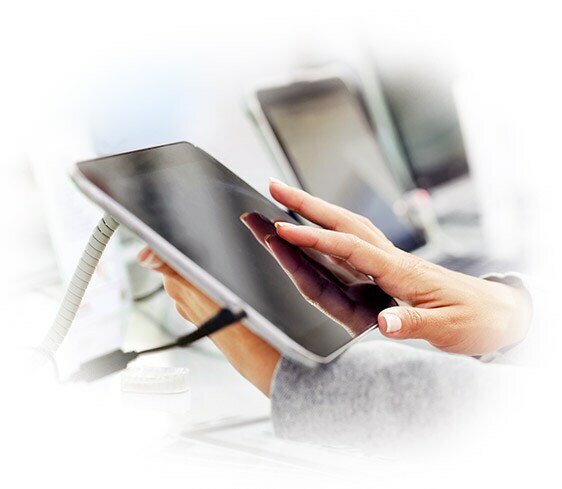 Oracle Product Lifecycle Management (PLM) provides a modern innovation platform designed to comprehensively support your unique needs. Drive powerful results with new insights and best practices. What Is Oracle PLM for Consumer Goods? You’re under pressure to innovate quickly, meaningfully, and efficiently in a changing world. Consumers are more informed, distracted, and discerning, while your business faces compressed cycles, product proliferation, new regulations, and industry disruption. Oracle Product Lifecycle Management (PLM) offers you the latest digital advancements to rapidly innovate, develop and commercialize more profitable products, with unique value for consumer goods segments, including food and beverage, durables, chemicals, footwear and apparel, and health and beauty. Legacy systems and even best-of-breed niche applications cannot scale to support your evolving needs. By enabling modern PLM processes, you can simplify operations, engage consumers in the innovation process, and get to market sooner. Enable collaboration throughout the specification and development process within your organization and across your supplier network. Oracle PLM provides a flexible, social, and highly secure environment to promote innovation while protecting IP. Digitize organizational knowledge in a centralized product record to empower your workforce, design and formulate new innovations, improve visibility and accountability, and strategically align your product portfolio. Accelerate innovation projects and craft a high-performing product portfolio. With Oracle PLM, you get tightly synchronized project management to maximize product throughput. Improve team and resource management with powerful tools that find best-fit project resources and skills to keep your people engaged and motivated. Allow teams to collaboratively manage all work in one place to consolidate and automate completion so you know when deliverables will be done. Manage project schedules on the go, worldwide, with intuitive, integrated, mobile scheduling tools. Keep it all linked to the enterprise product record to easily communicate the plan across the enterprise. Create a corporate culture of quality by making quality information and issues visible to all stakeholders throughout the product lifecycle. Oracle delivers a closed-loop, configurable quality management solution that is tightly integrated with the product record, allowing quick resolution of product quality issues, better regulatory compliance, enhanced customer satisfaction, and reduced material costs. Ensure complete traceability to monitor product safety and react faster. Automate your formulation process to keep pace with innovation. Oracle PLM offers a formulation solution for process companies—like food and beverage and chemical. Accurately track nutrition surveillance results, comparing them to existing nutrient values for finished products or ingredients. Optimize new formulations to meet user-defined design criteria and evaluate product quality and performance. Nearly all product changes somehow affect how you ready a product for market. As you mobilize your commercialization process, you need to ensure effective change management to avoid delays. Oracle PLM helps you optimize the "Six P’s" of Commercialization: proposals, planning, process, people, product, and performance. See how Nature's Bounty is using Oracle Innovation Management Cloud to harness the power of their entrepreneurial spirit.